As winter approaches our accessories become even more important, and this edit of men's gloves is the perfect way for men to finish their look with some sophisticated flair. From traditional and smart to colourful and sporty, this collection of men's gloves is an essential when it comes to colder weather. Gloves for men range from premium quality leather gloves in rich burgundy tones to fingerless knitted gloves for extra flexibility. Think black leather, texture and buckles for a luxurious take on the trend, while wooly styles in bold brights are a more playful approach that can really stand out against dark separates. 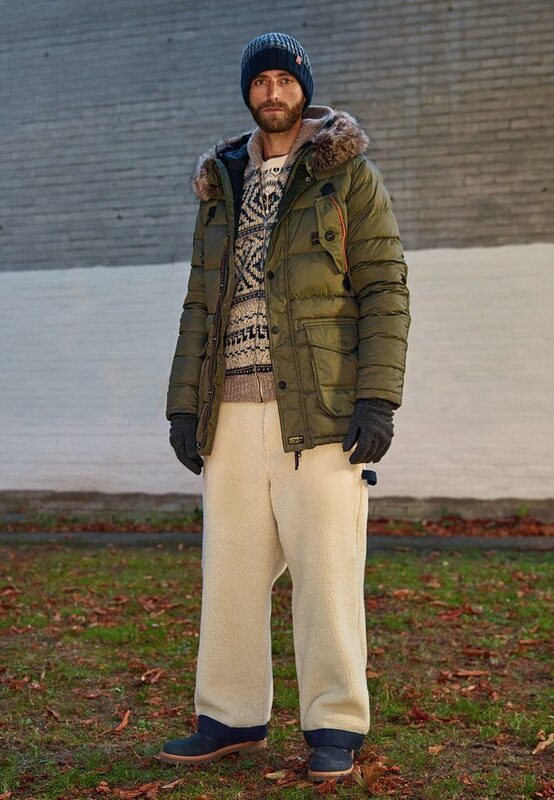 Go for a chunky pair of men's gloves and accessorise with a slouchy bobble hat for a cohesive finish. Top off your waterproof jacket with some dark and dapper leather gloves in butter-soft leather, or pick men's gloves in a striped pattern for a subtle sporty feel. Choose men's gloves in a dual fabric finish, or opt for styles featuring highlighted fingertips and gathered wristbands to individualise the look.